Assuming you have a marketing plan to guide your marketing activities and budget, it makes sense to carry out a thorough analysis before entering into another year of spending your hard-earned money. Read on to find out why marketing reviews count and how to start the process to get meaningful results for your growing business. Media makes up much of the marketing budget, including social media and paying for adverts on television, in magazines, and online. So it makes sense for a company to have a media budget to pay for these adverts. However, a media budget should be flexible, based on what works best for your company and industry. Without a doubt, many of your marketing activities have not achieved the results you would have hoped for. Following the 80-20 rule, the reality is that the vast majority of your spend could be described as wasted on the wrong things, while a small proportion has kept your business going. You must know what is working that you should do more off and the activities to stop or change. Things that do not work as planned are not always failures. For it is from these endeavours that we can learn many hard truths about our business and ourselves. The challenge for many business owners is knowing how and where to start their marketing review because assumptions alone will not give the full picture. There are a few different ways to work out how and where you should be spending your media budget, and these are the more valuable. Part of my motivation for writing this post is to document a rough review of our year, including our successes in the last 12 months and learning to date because as you will see, it has been an eventful year. Let’s start the ride! Our year in 2017 – Annus horribilis? The answers came in the form of Danayal Zia, an Action Coach based in Leatherhead who joined our BNI Sutton business network. As I feared, the solution to my issues was working harder in the short term at least while I found more reliable marketing strategies to get more of the right clients for my business. Of course, I had a website, social media pages and sent monthly emails to my subscribers. I would also blog monthly and went to several face-to-face networking events every week (sometimes every day of the week!). Yes, I can admit that it is somewhat of a worry that it did not occur to me the owner or a marketing agency to prioritise our marketing above that of our clients – it is hard not to focus all of your efforts on the needs of the paying clients. I soon learnt that the reality is that without doing my marketing, there would be no business and no clients. Set targets to increase customers, income etc. Know my numbers on everything so that I could track progress. Continuing to produce my weekly business podcast in which I interview business owners has been one of the leading pluses of 2017. I have enjoyed meeting and having dedicated time to talk with so many people from across the globe. I feel fortunate to have interviewed millionaires in America, Canada and right here in the UK. Their incredible stories and tips inspire me to try harder every day. I hope they also educate and inspire our listeners who tend to be current, soon-to-be and aspiring business owner. I love doing Eny’s Happy Hour. However, it has not been easy – it is always a challenge to find guests with a story to tell to interview. You would have thought entrepreneurs would readily jump at the opportunity for free advertising and an engaging way to communicate with their target clients. In truth, the administration side of the presenter’s role takes more of my efforts – designing and posting the publicity for each show on social media platforms can take up to 3 hours. There are indeed many positive stories from 2017. Having said that it has not always been a barrel of laughs as will become evident. These are some of the more significant marketing related initiatives we planned for 2017 and the outcomes – you are permitted to have a chuckle at my expense as you read them if you so wish! We employed our third apprentice on 1st March 2017 to free my time to work more on the business implementing the marketing strategies and getting more clients. To be fair, I liked the young man, and he quickly learned to carry out many of the process-driven marketing activities that we provide. Nonetheless, I had to terminate his employment after barely 6 months in as I did not believe he had the enthusiasm that is required to make a difference in a small business. So it was back to the drawing board and grindstone! I designed and ran a Google Adwords campaign to promote our PPC marketing service. We were competing with the biggest companies – Google and Facebook for the services that they are seeking to provide. So no surprise that we did not get many leads from that campaign. I couldn’t go on spending good money after bad given that there are other more effective methods to get the clients we wanted. You won’t find a bigger advocate for building relationships in business than myself. I paid for membership for several networking groups including Business Biscotti, Business Junction, Sutton United Business Club and BNI Sutton. I also spent a hefty price for attending many informal networking events in and around Croydon as well as being on the verge of joining 4Networking in Epsom. In the midst of all of these, I was Group Director of Omni Networking group in Croydon which meant organising and running the two-weekly meetings. When we analysed the Leads and Clients list including where we acquired them from, BNI networking accounted for 75% of our revenue, with the remainder coming from connections and other marketing activities. All of the other networking events I spent my time were a drain on my time and money that left me exhausted and did not help one bit. I have since stopped networking anywhere apart from BNI groups. Besides, I just don’t have the time to be everywhere anymore. I have been to 8 different BNI chapters in the last year, and almost all have led to client referrals. Forming strategic partnerships with people who I could refer work to and vice versa was one of the marketing strategies I read about and believed was worth trying. I actively sought out potential partners who provided complimentary services to our small businesses clients including web designers, copywriters printers, videographers, etc. In truth, I have learned that I have always been more conscientious in referring my clients to my partners. Other people, it seems are not so keen to reciprocate. Am I expecting too much from the wrong people? This strategy needs a re-think! We delivered monthly marketing workshops to business owners with the aim of building credibility with local business owners and generating sign-ups for our services. We focused on marketing strategy workshops starting with general marketing before moving on to social media and then PPC seminars. The first few seminars were free of charge to attendees with us suffering the venue and food costs. Out of 6 seminars we ran that attracted more than 90 people, we got a total of 3 new clients. So the numbers are not mind-blowing. However, they are good clients we may not have got to work with otherwise. We have since learned that there is no harm in charging for seminars and workshops. Even a nominal fee collected in advance can go a long way to encouraging people who have booked and paid to make the effort to turn up. We are in the process of running more high-value workshops in 2018 for which we can charge a higher entry price. The aim is for the events to more than cover their costs while giving us enough to make it worth our time and effort. I did not start my business to slave over social media pages for the rest of my life. I started Small Business eMarketing to help small businesses to find the best marketing strategies to sell lots online, grow to become profitable and compete with established big players. I had somehow lost my focus and got stuck in a rut of social media marketing with clients making sales, although nowhere near enough to set the world alight. After attending the brilliant business motivational speaker Andy Harrington’s two-day motivation conference in June, I resolved to focus on my original goal. Like a light going on in my head, that decision literarily changed my business overnight. I rebranded the company name to Global.Media and our core activities from eMarketing to Advertising, Marketing & PR. The change was necessary because I admitted to myself that all the big companies online are also big offline. In other words ‘Fame Sells‘! Our mission became crystal clear: make clients famous through exposure to mass media channels (radio, TV, magazines and location advertising) and then leverage the brand awareness we create into online sales. With the objective now to make brands household names my target client changed radically because typically only very ambitious businesses have the vision and budget to seek fame and thereby reap the fortune in online sales. Like magic, I now had an offering that would add value to larger businesses that I had not been able to approach under the Small Business eMarketing umbrella. The excitement that this new vision gives me has changed me as a business owner because I know now that we are different to your run of the mill marketing agencies; we can transform businesses, by delivering #MarketingWorthTalkingAbout! My business coach suggested I use LinkedIn to target my new ideal clients, after all, a third of the world’s professionals including decision-makers are connecting on there. I quickly learned how to make many new connections daily, with an average of 25 new conversations a day (new people who know about our services). You can work out that we had to send more than 100 connection requests daily to achieve that target. While we connect with the usual mix of potential clients, potential partners and time wasters, it is an understatement to say that LinkedIn has been transformative for our business. LinkedIn is the antidote to the ever-decreasing reach of organic Facebook posts and the wishy-washy engagement on Twitter (do not take that to mean that some of our clients do not make good money on those platforms). I have met and spoken with many amazingly successful business people who have founded, managed or been part of the growth of global market leading companies as a result of our LinkedIn marketing. I met all of my business partners (web designer, copywriter, videographer, photographer, Media owners and publishers) on LinkedIn. Furthermore and perhaps most importantly, we found all of our highest-paying advertising and marketing clients on LinkedIn. Then another light bulb moment happened: Given that we have developed an expertise for doing LinkedIn and getting leads on an industrial scale for our business, why not provide LinkedIn lead generation services and workshops for small business clients? So LinkedIn Lead Generation is now our core digital marketing service for which we can virtually guarantee results (prospects) for ourselves and virtually every B2B client. Just as we have got better at reaching out to potential clients, an unexpected thing has happened this year – our clients are referring their friends and connections to our services. I would like to believe the referrals are more a reflection of the effectiveness of our marketing campaign results than the referral reward scheme in our email signature. In case you are wondering, the offer is to give every referrer £100 cash and one month’s Free LinkedIn marketing for their referrals who use our service for at least two months. Regardless of the reasons for our referrals we always appreciate each and every one. We have learnt to value every client even more because they could be the source of our next fantastic client referral. Edera, our fabulous new apprentice, insisted I add this in the post as she could not bear for me to end my journey to find the right Apprentice as it was in the earlier section where I described sacking the previous apprentice. You see, we jumped on the Apprentice bandwagon once again in October 2017. With the help of Associated Neighbour Training, we employed Edera Dias. Her academic background (she has 12 good GCSEs and Foundation Degree) and relative maturity have seen her pick up many of the skills we require to manage client social media accounts like a seasoned expert. She contributes to other vital activities including report-writing and planning marketing campaigns. 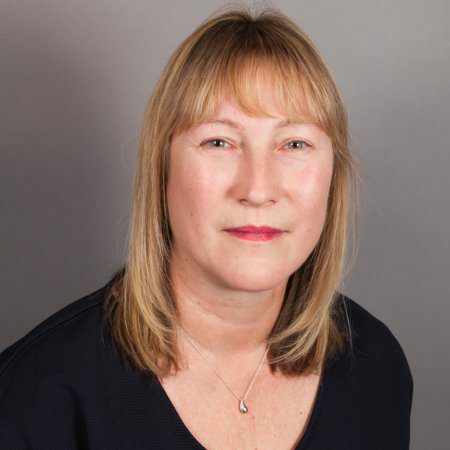 I am happy to say that having her on board has had a very positive impact on the business regarding increasing our capacity to do more, deliver to more clients and sell more services overall. Like I started off this post, clearly, a lot has happened in our business in the course of 2017. I certainly feel better for taking time to document this review here. I hope you have found it gives a good insight into our business and marketing activities. 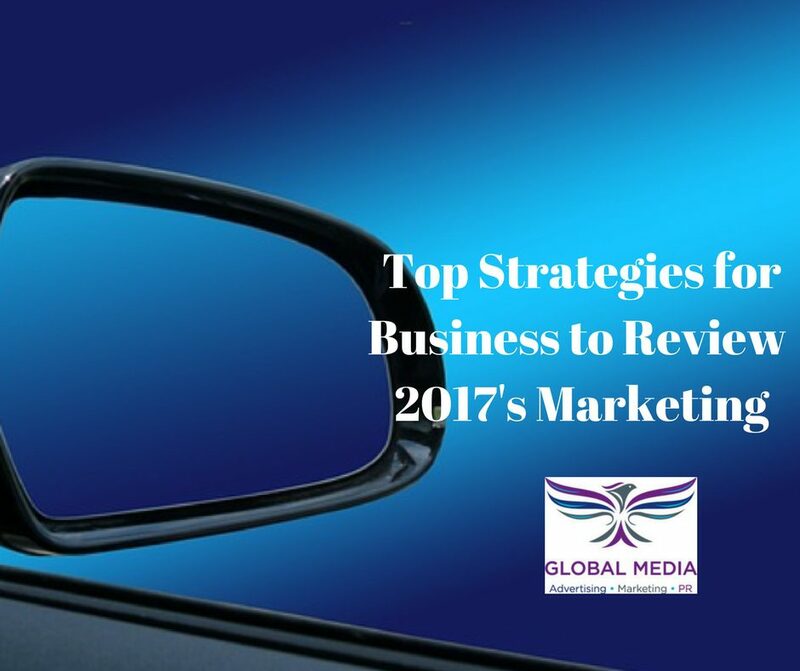 Let’s return to carrying our your business marketing review for 2017. Let’s face it. We all have marketing strategies that we like and enjoy for better or worse. I have no interest in stopping you doing what gives you pleasure. I am more interested in encouraging you to take a cold hard look at your marketing activities and the outcomes you want from each one for your business. While it is tempting to make do with looking at the numbers regarding the amount of revenue your company has generated over the year compared to previous years, this can be a misleading analysis strategy. Income alone rarely tells the whole story because of the costs associated with earning it. Expenses like staffing, premises, equipment and management costs can quickly wipe out any net gains that the graphic about suggests should happen. So your business can make more income, yet not grow at all because all of the money goes back out. The holy grail for any business is t achieve the equation illustrated in the graph whereby cost-reduction is accompanied by revenue growth – please let me know by email or on my social media channels when you crack this dream scenario. There are many resources online to help you to gather the data to carry out each of these analyses so I will not reinvent the wheel here. Using analytical tools, you will be able to see which strategies should get the most investment from the media budget, which should earn you, even more, return on investment (ROI). By analysing these numbers, we have rebranded our business to look and feel virtually opposite to where we started 2017. We have employed a fantastic new Apprentice based on what we learned from our past experiences. She is enjoying getting results primarily from working our LinkedIn Lead Generation marketing strategy that has proved a gold-mine for all of the positive figures in our marketing review analysis. We have now started charging attendees for our LinkedIn workshops. Perhaps the biggest mark of success for 2017’s marketing strategy is that we now have many small business clients getting the benefits of our LinkedIn Lead Generation as well as several high revenue marketing proposals that are due to start in early 2018. As 2018 is fast approaching, ticking along doing the same old activities will not work. Now is the time to take a moment to take a hard cold look at the marketing numbers in your business so that you can make the right decisions to make the New Year the most memorable yet for your company. Once you have highlighted where to spend your media and marketing budget, you need to understand how to spend your budget on the best ways to get the highest return on investment. We’d happily help you if you want our help. Just contact us. We’d love to have your feedback and suggestions about this post. Which are the winning marketing starategies for your business? Which data do you analyse to provide the evidence to endorse your view Please leave your comments in the Comments Section below.